FORT MYERS, Fla. Sweeping changes proposed for the city won’t be coming for a while. City Council voted 7-0 Monday to push back a decision on a redevelopment plan until Aug. 7. The vote came at the end of a meeting that lasted nearly five hours. Dozens of people lined up at City Hall for their chance to speak about the proposal that would impact downtown and an area to its south. A total of 41 members of the public were expected to comment on the plan, one by one. The plan has stirred up emotion from those on oppose it, believing it would change the aesthetic character of the town for insufficient economic benefit, and from business owners and city leaders who say it would bring in sorely needed revenue. 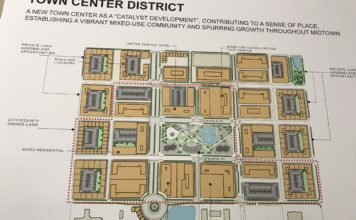 It’s based off a study that recommends sweeping changes to density requirements that would allow for more high-rises downtown and redevelopment of an area from Dr. Martin Luther King Jr. Boulevard south to Edison Avenue and from U.S. 41 east to Fowler Street. The idea would be to create more affordable housing and make the city more attractive to millennials. But many argue the city is attractive just the way it is. The city has changed much in the nearly six decades Bill Dunn has lived here. He thinks that change will continue, whether or not anyone is ready for it. Developers would, under the proposal, be able to build to about twice the density currently allowed. 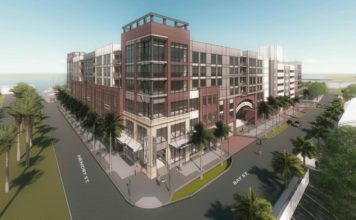 The city would reap revenue designed to build more parking, expand utilities and foster affordable housing by charging developers a fee equivalent to 1 percent of construction costs. Still, the plan is a ways off from implementation. The state would have to approve it even if City Council gives its OK.